Tell us a little bit about yourself, your company, and its foundation. I am Shannon Williams and I started Mountains To Sea Inspections in 2013 with Brian Barrett. I am a general contractor with 22 years in the residential and commercial construction and have been doing home inspections since 2009. Brian is a general contractor with over 10 years building experience, a realtor and licensed home inspector. We offer our years of construction and inspection experience to make sure our clients know as much about the house they are buying as possible. How do you suggest a homeowner prepares for a home inspection and what does a home inspector look for during a home inspection? We ask that our clients and their realtors ensure that utilities are on. 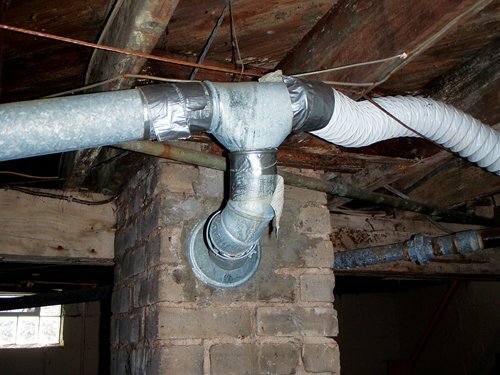 After that, we can check the roof and attic, exterior and grading, garage or outbuildings, kitchen and appliances, common areas and bedrooms, structure and crawlspace or basement, plumbing, electrical, and HVAC. We are licensed and can also check for wood destroying insects, test for radon, and take water samples for testing. Homeowners preparing for a home inspections should know that we are allied members of the board of realtors, and we have the professional guidelines that realtors do. We will leave the house just as we found it, unless we find safety issues or damaging problems. If we find anything like this, we will alert the realtors involved and make every effort to contact the homeowner to alert them also. I think anyone who is having a home inspection should have a realistic view on the house. We will check all systems and structure to give them a better idea of any potential problems that may not be obvious. Our website is mtsinspections.com, emails are shannon@mtsinspections.com and brian@mtsinspections.com, and our phone numbers are 828-230-1341 and 828-712-2867. Give us a call or email us for your home inspections needs or if you just have questions about home inspections.